Grab a deck of cards and get ready to practice basic math skills with your students! These five math games are so much fun, kids won't realize they're learning math skills when they play! 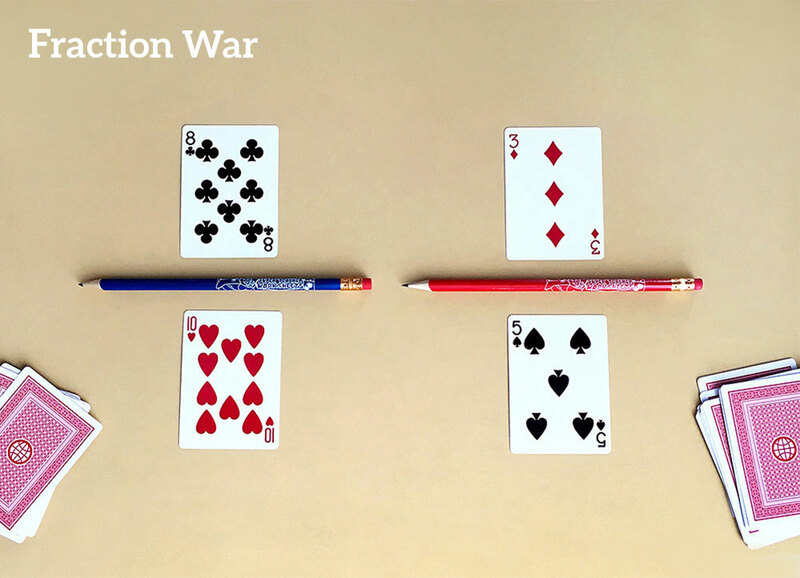 Your students will be able to practice a variety of basic math concepts with these five card games: addition, subtraction, multiplication, fractions, even and odd numbers, and place value. The best part is, they won't even realize they're practice math skills because they'll be too busy having fun! Remove jokers, face cards, and aces from the deck. Split the deck evenly between two players. Make sure the cards are face down. The player who manages to get all of the cards is the winner. Remove jokers, face cards, and aces from the deck. 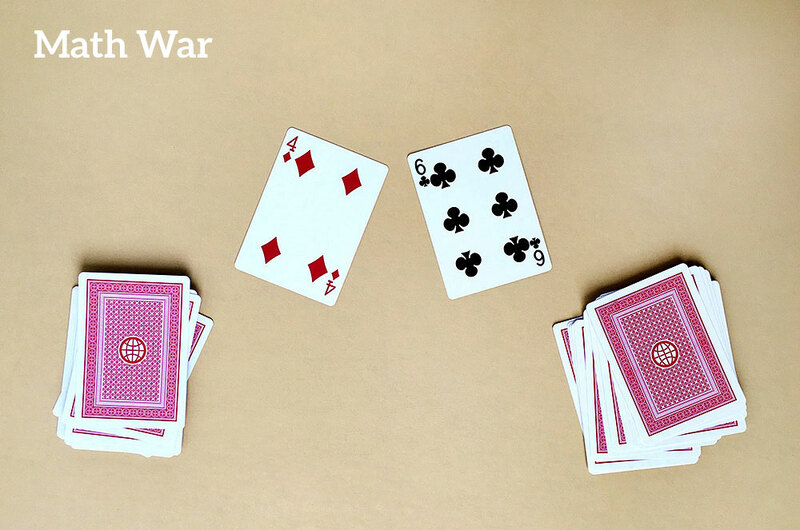 Split the deck evenly between two players, and make sure the cards are face down. The player who acquires all the cards is the winner. First, decide on how many rounds you want to play. Then remove jokers, face cards, and aces from the deck. Deal out four cards to each player. The player who can make the highest sum (for addition games) or product (for multiplication games) wins the round. Whoever wins the most rounds wins the game. The players flip their cards over, sorting them into piles of even and odd cards. The first player to sort his or her cards yells "Freeze!" The opponent stops sorting and checks the first player's piles to make sure there are no mistakes. If there are no mistakes, the first player wins. 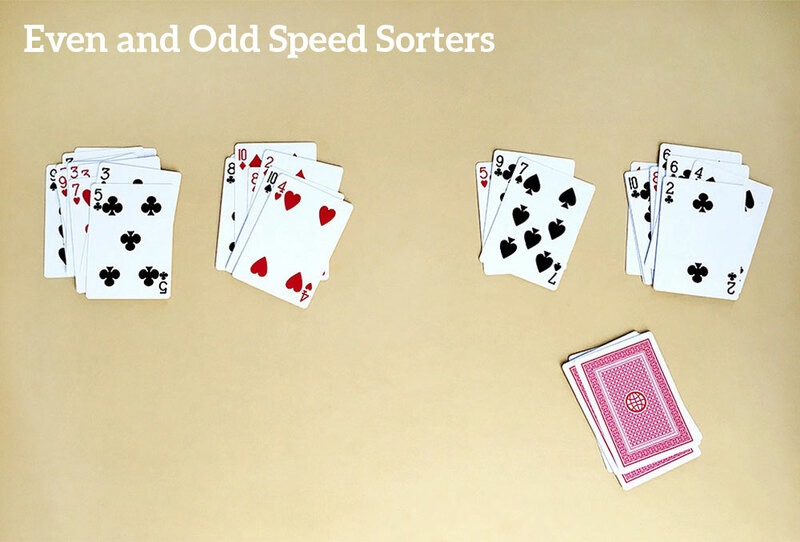 If the opponent finds any mistakes in the first player's even and odd piles, he or she gets to finish sorting. The first player checks the opponent's piles, and if there are no errors, the opponent wins. The first thing you'll want to do is remove jokers, face cards, and aces. Then, split the deck between two players and keep the cards face down. Decide how many rounds will be played before the game begins. 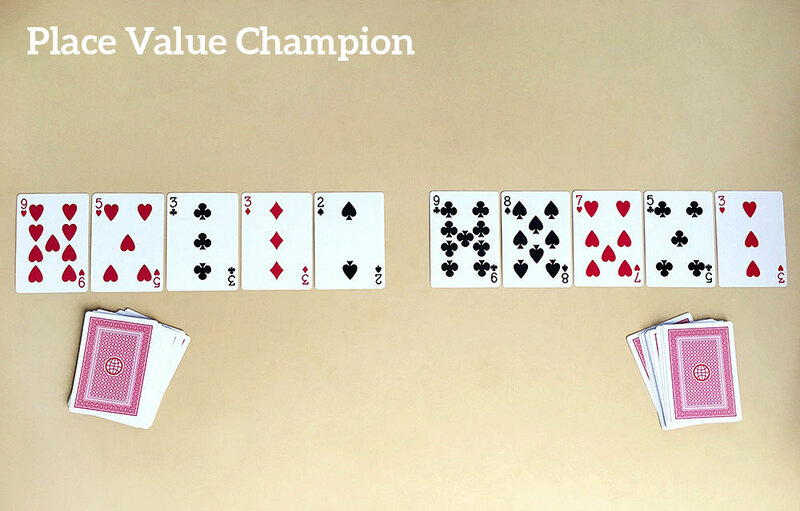 Players rearrange their cards to make a number with the highest possible place value. 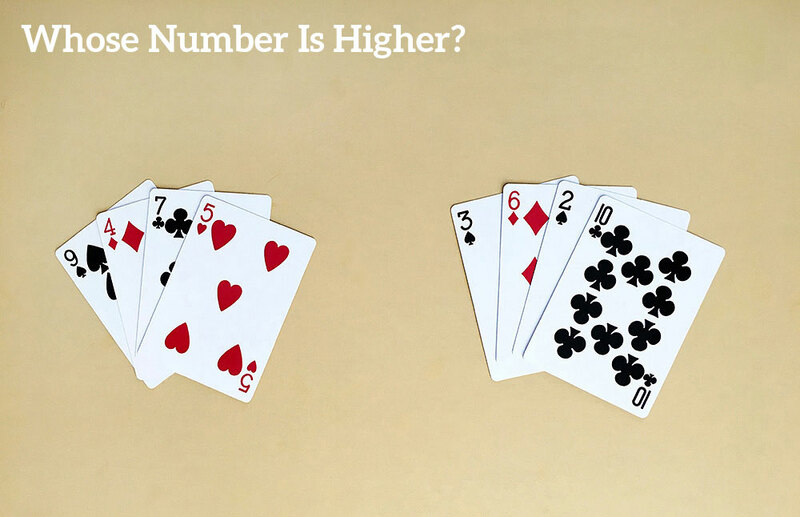 Whichever player makes the higher number wins all the cards in play. Whoever wins the most rounds, wins the game. Which of these math games are you going to play with your students? 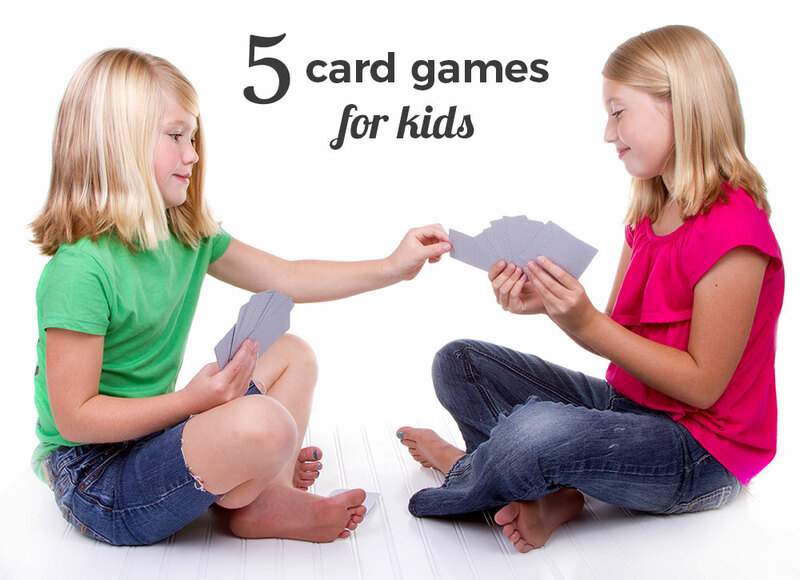 Do you have your own go-to card games that you use to reinforce math skills in your classroom? We'd love to hear your thoughts in the comment section below! Super Teacher Worksheets has loads of incredibly fun math games and activities for you to incorporate into your math lessons. Check out our complete math activities index today!